Click on it so’s you can see it full size and be able to read the text at the bottom pf the pic. 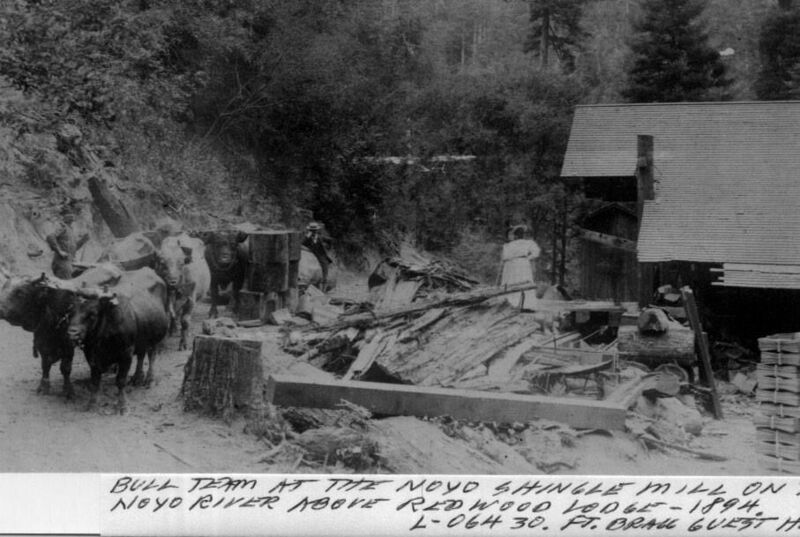 A) I didn’t know there was a shingle mill on Noyo River and B) I haven’t a notion where Redwood Lodge was located. But, sure as eggs is eggs there was a shingle mill and a Redwood Lodge. So, if there is anyone out there who can add some meat to this very bare bone I’d be most grateful.